According to the IPCC’s latest report (The Intergovernmental Panel on Climate Change, the UN’s climate science body), we have just 12 years to curb the catastrophic effects of global warming and drastic action on a worldwide level is required to achieve this. It may seem overwhelming, or you could feel helpless in making a significant impact, but even making small changes to your home and lifestyle can make a big difference. There are so many opportunities to make your home eco-friendlier and to help the world become sustainable for the future. 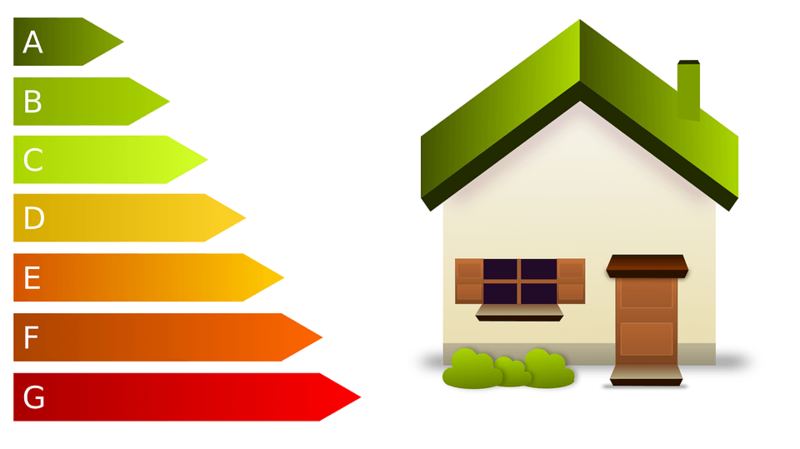 I’ve compiled some tips below on how to make your home more energy efficient. Whether you have a large or a small budget to implement these changes, everyone can do their bit for the environment – you might even save some money too while helping to save the planet! Although it may seem initially like a massive undertaking, it’s worth the investment in the long run. By insulating your walls, ceilings and under your floors you’ll make great savings on your heating bills and radically reduce the loss of heat in your home. Depending on where you live, you also might be eligible to avail of government financial assistance to help with your insulation costs through various grants and schemes. By installing double glazed windows, you can prevent heat escaping unnecessarily and further reduce your energy bills. If this is too expensive an option, consider buying thermal curtains as they can make a huge difference in retaining any room’s heat. Switching to renewable energy methods for heating your home and water can be one of the best investments you can make for your home. Not only are they environmentally friendly, you can also make some serious savings here. Recent research carried out this year by Green Business Watch in the UK shows that households in Britain are missing out on potential savings opportunities by not taking advantage of solar power in their area. Talk to your local architect or solar panel installer to find out the best options for you and your home. Buying appliances such as washing machines, dishwashers, fridges and freezers that have a good energy rating can increase your energy efficiency considerably. Before buying an appliance, do your research online to find the best appliances for your home and budget. Depending on what fuel you use for your home heating system, having a programmable thermostat installed gives you control over when you want to heat your home, and can save you energy and money in the long run. There are tonnes of programmable thermostats on the market, smart devices and even apps that can help you control your home heating. Talk to your plumber or local heating expert on all the possible options. Have a look at your energy bills and see where you could be wasting energy, and if there are opportunities to save both energy and money. Find out the costs you have been paying over the years if you’ve been with the one provider. Turn the thermostat down even just a little bit, not so that your home’s chilly but you’ll barely notice the difference if you turn it down by a fraction. A little change goes a long way in boosting energy efficiency. Enterprise on the energy of the sun and let as much sunshine in as possible, especially during the warmest parts of the day. Keep those curtains, blinds and shutters open wherever you can. Try to avoid using the tumble dryer, these are notorious for eating up energy. If you can, try using a clothes horse or a washing line instead. Avoid putting hot food straight into the fridge or freezer, your fridge/freezer has to work extra hard to cool it down. Don’t leave computers idle on standby, as with most appliances, make sure they’re fully switched off when not in use – even better, switch off your appliance at the wall or pull out the plug altogether. Take showers instead of baths. Showers take only 20% of the water that a bath does and can make a huge difference in terms of saving water and energy – leave the baths as an occasional treat. Don’t leave the tap running while brushing your teeth and fill the sink to wash dishes instead of leaving the hot tap on constantly. Make it a good habit of yours to turn off lights when leaving the room for long periods of time. Switch your lightbulbs to CFL ones, they can be costly upfront but usually last up to 12 times longer than your standard bulb. Identify and fix the areas of your home where there are cold draughts coming through, you’ll definitely feel the difference in both the temperature and your energy bills if you fix these problem areas. We’ve heard it so many times before but by reducing your waste and recycling as much as you can, you can make a huge impact on your carbon footprint. When grocery shopping, avoid buying overly packaged goods, especially on packs of fruit and vegetables and bring a reusable shopping bag to pack your goods so that you don’t have to resort to using plastic bags from the store.